ABAP programmers developing SQL solutions on SAP HANA database may require numbers table or a numbers sequence to use in SQLScript Select statements, CDS views or in AMDP codes. 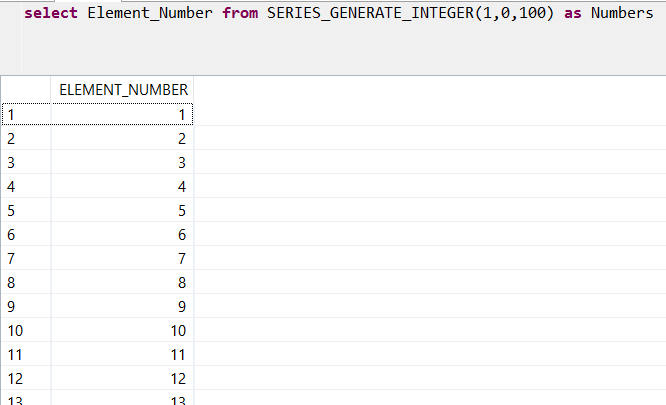 In this HANA SQL tutorial, I want to show how SQLScript programmers can use series_generate_integer HANA database Series function or SYS.Objects system view to create a numbers table for SAP HANA database developments. As the following query on public synonym of Sys.Objects system view shows, there are quite a lot objects in this database. 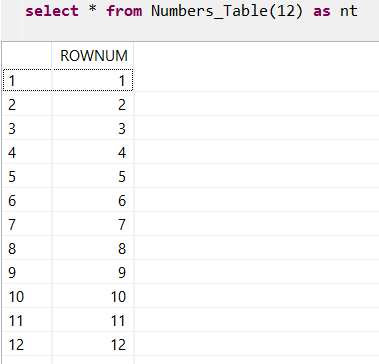 Let's now using SQL Row_Number() function and limiting the result set with LIMIT clause or using TOP clause, SAP HANA developers can create following user-defined function which returns numbers table for the given range as output. What about creating a better performing numbers table for HANA database developments? Another option and the preferrable one is using the Series Data function SERIES_GENERATE_INTEGER to create a number sequence with given interval and between given number range. the period start will be the previous value of the first integer. So we will pass 0 instead of 1 as the second parameter. As a developer, if you have checked the Sys.Objects system view, you will realize there are many tables joined to build the final Objects view data which is a costly process. 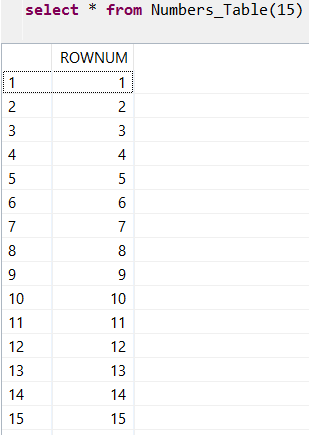 I wondered what will be the results if I compare both methods to generate numbers table on HANA database by performance. I tested performance of both methods using following way. When the VisPlan outputs are prepared and displayed on the screen, you can simply compare Compilation Time and Execution Time figures for performance comparison. If you want to learn how to create a table function on a HANA database using SAP HANA Studio, please ream my HANA database tutorial Create Table Function in SQL using SAP HANA Studio as a step by step guide.